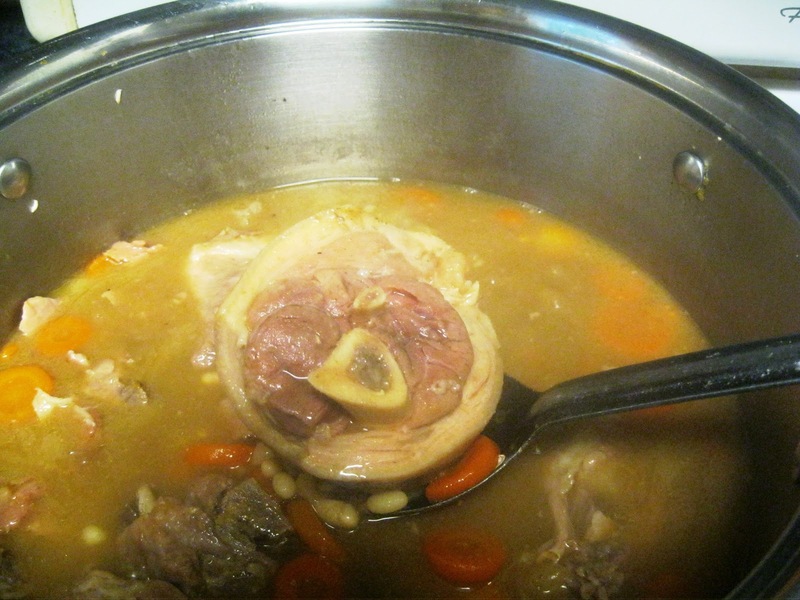 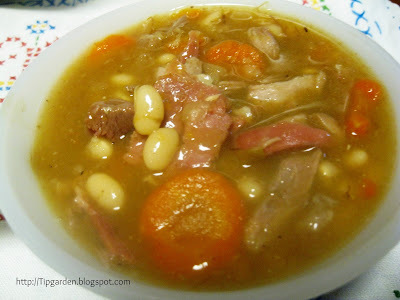 Have you ever seen recipes that call for cooking a ham hock, like ham and bean soup, and you've always wondered exactly what to do? You may have seen those brown smoked ham hocks in the meat department and it made you wonder exactly what you are supposed to do? 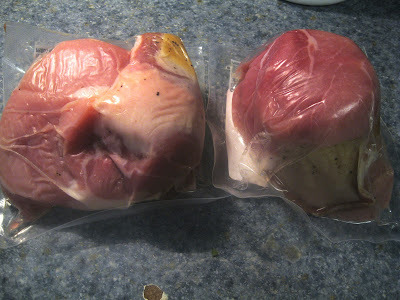 Let me talk you through cooking your first ham hock. 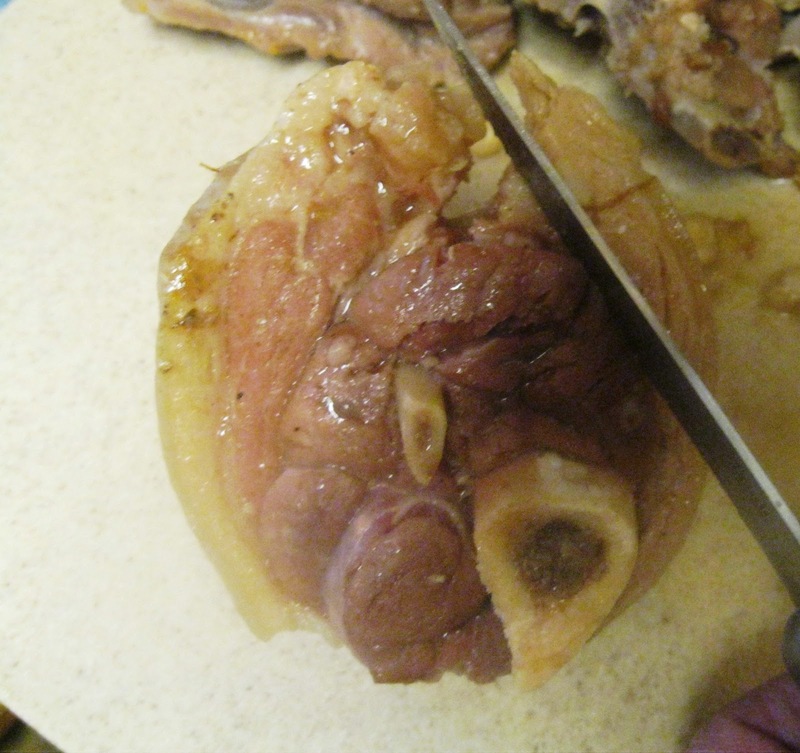 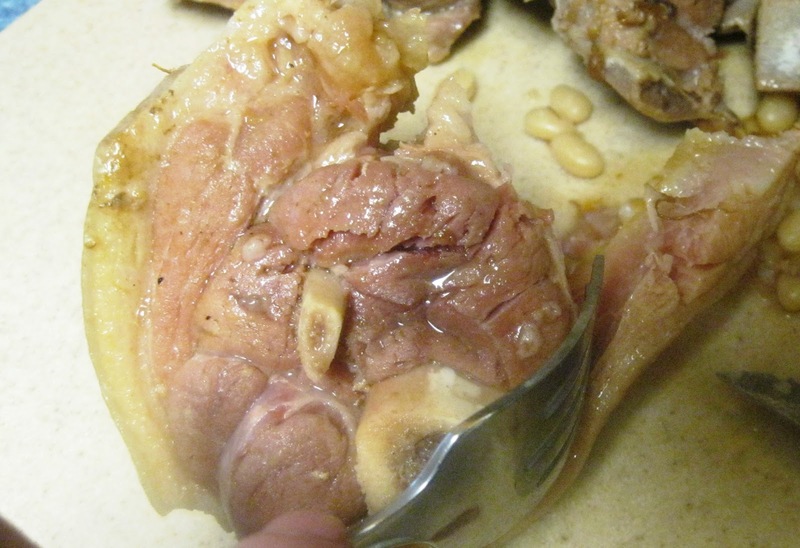 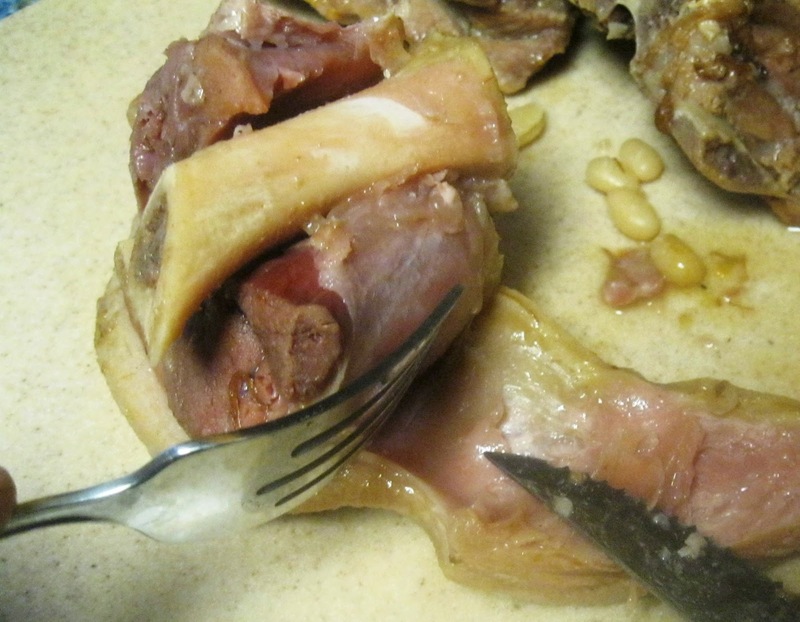 A ham hock is not the hoof as you may have been told, it's actually the joint at the extreme far end of the shank, above the foot and ankle, where the leg and foot connect. 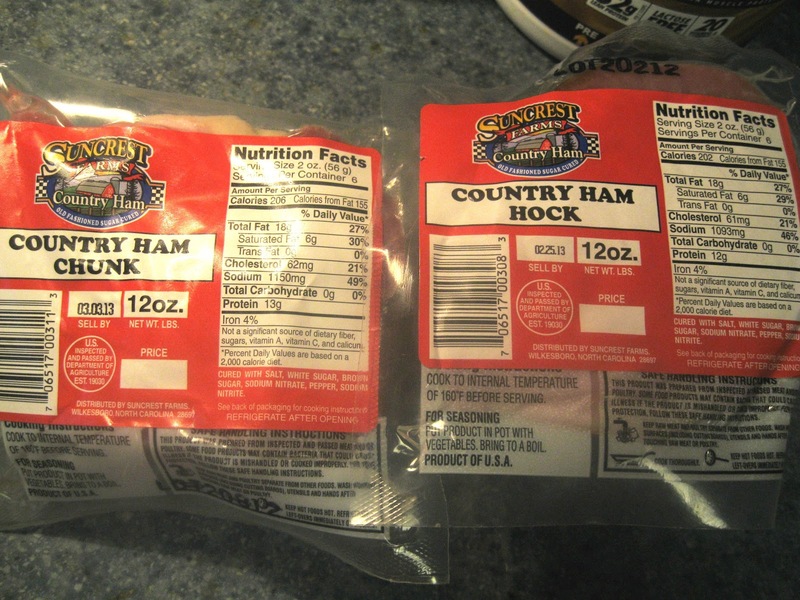 Many stores sell it pre-smoked. 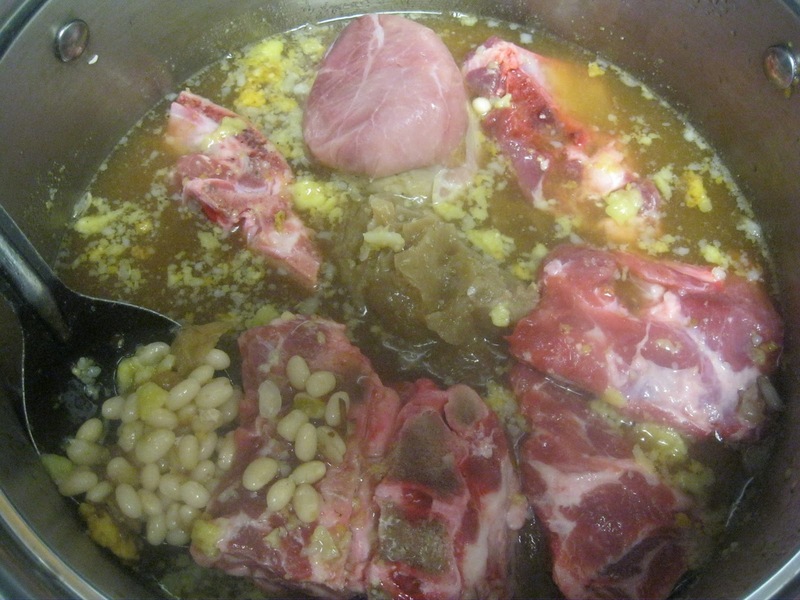 This type of ham hock is good for cooking with greens and other vegetables where you want a smoky taste added to the dish without adding the meat, it is used for flavoring only. I'm making a big ol' gigantic batch to freeze some soup for quick meals later in the winter. 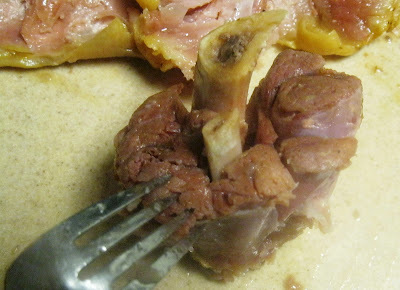 You can now easily remove the bone. 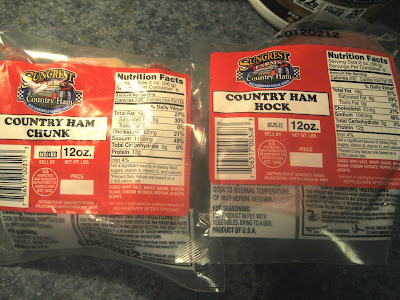 Shred or dice ham and return to soup or whatever recipe you want.